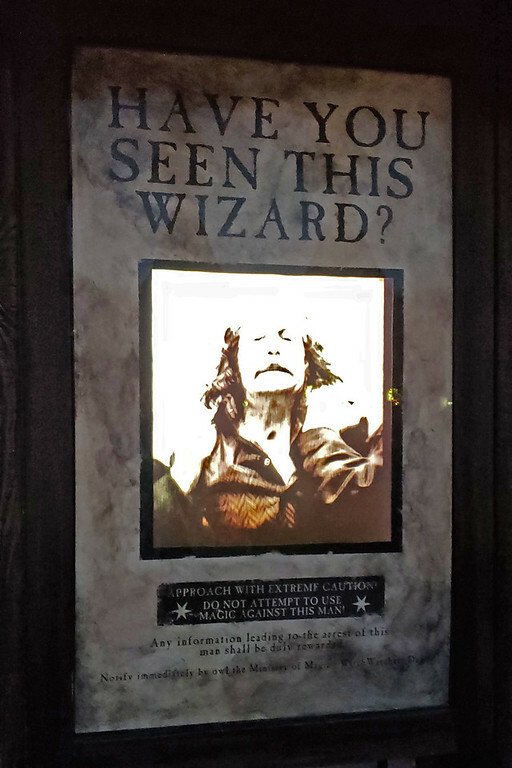 Valuable things you need to know before visiting the Wizarding World of Harry Potter. I never used to be a fan of Harry Potter. It wasn’t for any good reason; I just wasn’t into it. When the books and the movies were first released, I was almost at the end of high school. I suppose I thought that it was meant for little kids or I was a little too cool for all of it. My younger sister was obsessed with everything relating to Harry Potter, and I didn’t want any part of it. As some of you might know, Justin is younger than me. He grew up watching the movies and reading the books. So, he was completely shocked to find that I was clueless about Harry Potter. Justin urged me to start watching the movies with him, and I decided to give it a try. Of course, after the first movie, I was absolutely hooked. We quickly binge watched the rest of the movies, one after another. Naturally, the next step was to plan our visit to The Wizarding World of Harry Potter at Universal Orlando. 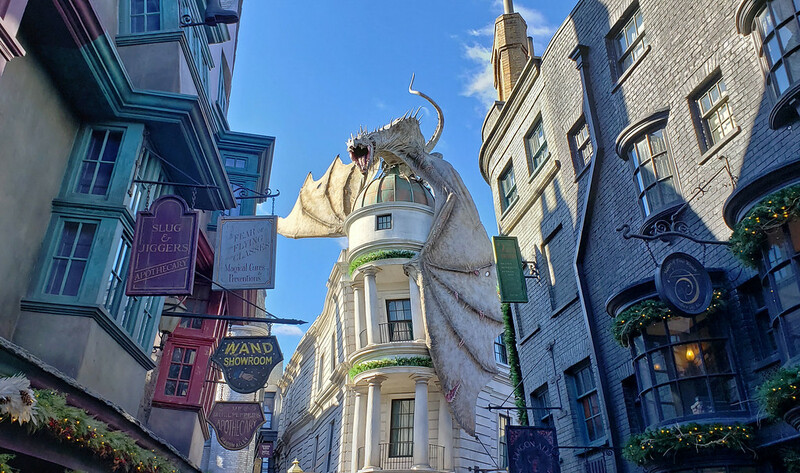 If you’re a fan of the books and the movies, there’s no better way to immerse yourself in the J.K. Rowling‘s world of Harry Potter than visiting Universal Studios and Universal’s Islands of Adventure. Now that we’re back from our trip to Orlando, Florida, I’m here to help you plan your amazing journey to Universal Orlando, too. 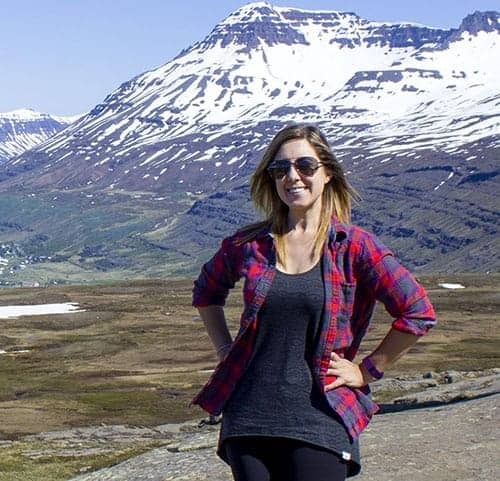 While I was given advice from friends who had visited in the past and read some information online before I went, there were still a few things that I had wished I had known ahead of time. When you only have a day or two to experience Universal Studios Florida and Universal’s Islands of Adventure, you want to make the most of it. 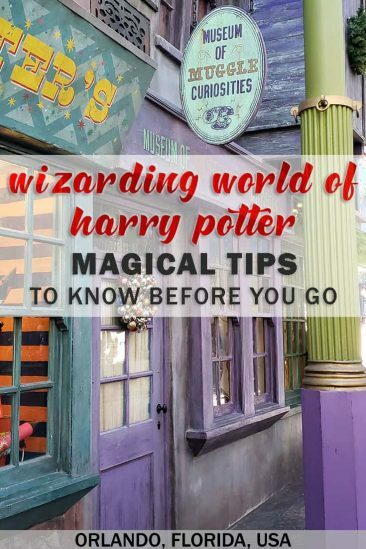 Here are our Wizarding World of Harry Potter tips and tricks to have the most magical adventure ever. Which Tickets Should I Buy? With so many options, it’s tough to know which admission tickets to purchase that give you the most bang for your buck. 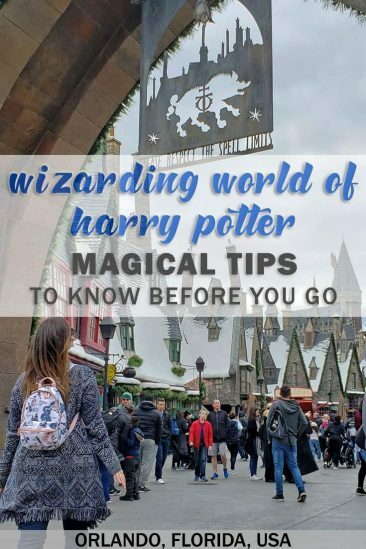 After we visited Universal Orlando and The Wizarding World of Harry Potter, it was clear the choice you should make in order to maximize your visit. Park-to-park passes are the way to go if you want to fully experience The Wizarding World of Harry Potter. 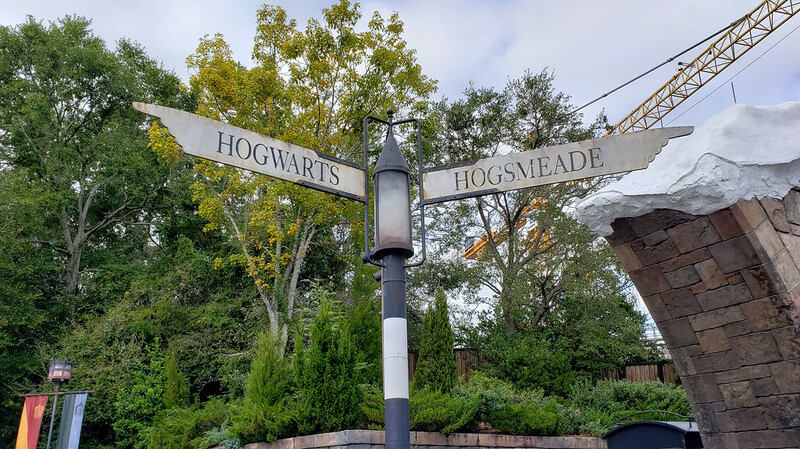 There are two parts of The Wizarding World of Harry Potter: Hogsmeade at Universal’s Islands of Adventure and Diagon Alley at Universal Studios Florida. Even if you plan to visit both parks separately on two different days, you wouldn’t be able to ride the Hogwarts Express between the parks. As this is an exciting aspect of the entire Harry Potter experience, I recommend that you buy Park-to-Park passes. You can try to see The Wizarding World of Harry Potter in one day, but you might not have time for the rest of the theme parks. It’s best to purchase two day Park-to-Park passes for both theme parks, so you have enough time to experience everything. If you have a third day, head over to Volcano Bay to check out Universal’s massive water park! By choosing to purchase an Express Pass, you’ll save tons of time without having to wait in huge lines. Skipping the line is a really good feeling, trust me. There’s nothing more frustrating than spending most of your day in a line-up when you’d rather be out exploring the park. There are two choices for Express Passes: the Universal Express Pass and the Unlimited Express Pass. The Universal Express Pass allows you to skip the line once for participating rides and attractions. The Unlimited Express Pass allows you to hop on any participating ride or attraction any amount of times that you like. All of the rides at The Wizarding World of Harry Potter allow you to use an express pass to skip the line. It really depends on how many times you’d like to go on any of the rides, once or more than once. If you want another advantage to skip the crowds and the lines, make sure that you spend the night at one of Universal Orlando Resort’s on-site hotels to receive early admission to the parks. Get a head start to your day, an hour before the park opens to the general public. 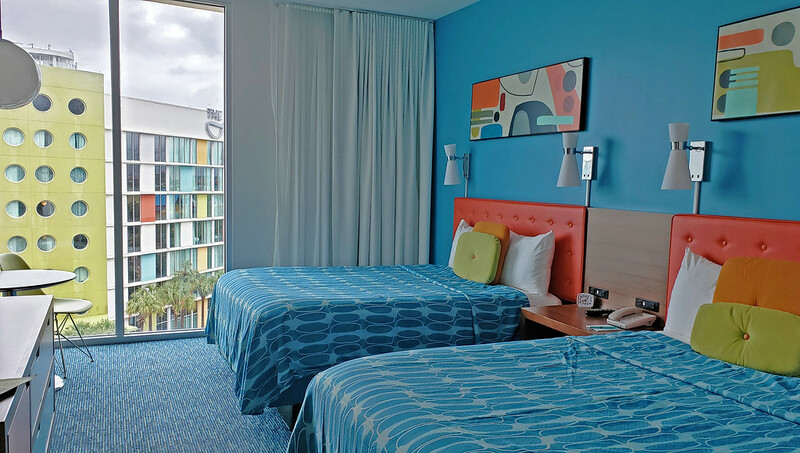 Justin and I stayed overnight at Universal’s Cabana Bay Beach Resort and fell in love with its retro charms. More on that later in the article. The Wizarding World of Harry Potter rides are thrilling and fun for kids and adults alike. There are currently four rides, including the Hogwarts Express. I’m going to delve into more details about the Hogwarts Express in its own section. Here are the thrill rides you’ll find at the Wizarding World of Harry Potter. Located in Diagon Alley, Harry Potter and the Escape from Gringotts combines an indoor roller coaster with a 3D motion based movie. It takes place in the vaults of Gringotts Bank. It’s a thrilling roller coaster ride, as you whiz and spin around, feeling as though you’re right in the middle of the story. This was my favourite Wizarding World of Harry Potter ride, hands down. It’s such an immersive experience. I haven’t ever been on a roller coaster quite like it! Inside Hogwarts Castle at Hogsmeade, start by taking a tour through Hogwarts, later soaring above the castle on your journey. You’ll encounter lots of scary creatures, including the dementors and giant spiders, eventually ending up in a rousing Quidditch match. At Hogsmeade across from Hogwarts, Flight of the Hippogriff is a family friendly steel rollercoaster that’s wonderful for people of all ages. The ride spirals and swoops around as you take flight on a wicker replica of a hippogriff, as instructed by Hagrid. Fans of the movie will be in heaven when they have the chance to ride the Hogwarts Express. It travels between both theme parks, connecting Hogsmeade station at the Islands of Adventure to King’s Cross at Universal Studios. 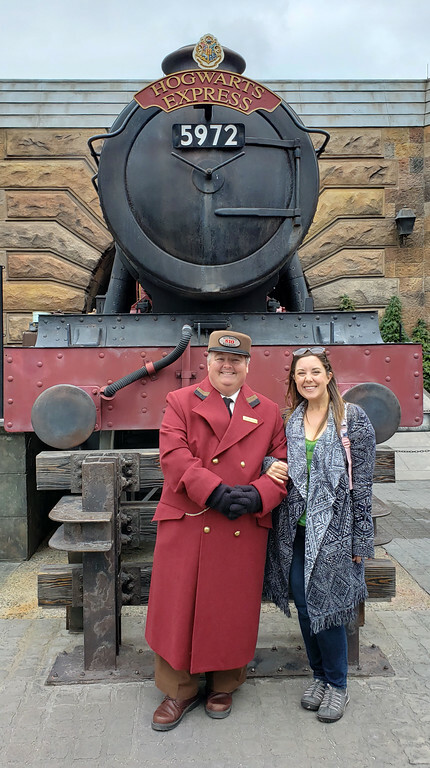 You need to ride the Hogwarts Express twice: once to Hogsmeade and once to King’s Cross. Both experiences are completely different from one another. Be sure to ride the train from both departure stations. Aside from the journey itself, one of my favorite quirks of Hogwarts Express happens at King’s Cross station. On your way to catch the train, you’ll reach a wall between platforms 9 and 10, just like in the films. You will “walk through” the wall to get to Platform 9 3⁄4, just like you’re in the movie itself. We managed to grab a short video of this adventure. Watch as I walk through the wall to reach Platform 9 3⁄4! 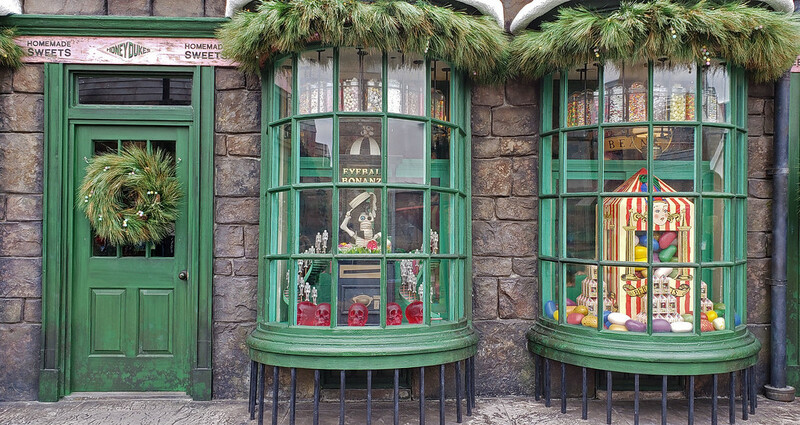 One of our top Wizarding World of Harry Potter tips is to browse the shops. The little stores in Hogsmeade and Diagon Alley aren’t just for buying souvenirs, but simulate locations from the movies, too. It’s all part of the magical experience! Here are some of the shops that you shouldn’t miss. 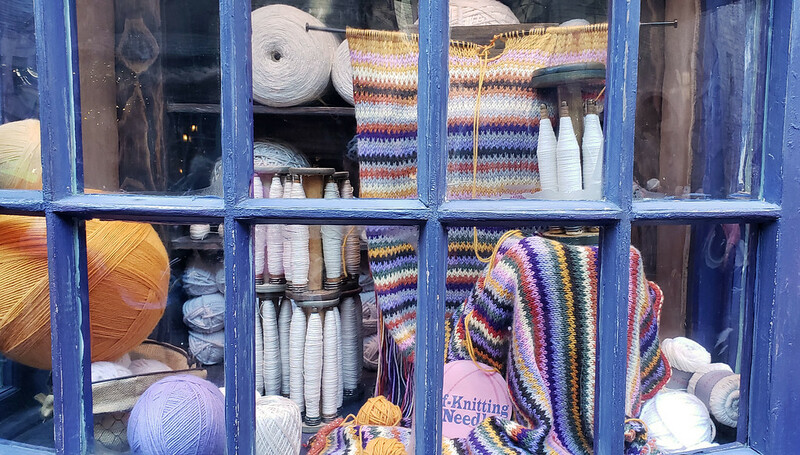 While you can purchase robes and clothing items at the theme park, I thought that I’d mention that my sister actually makes her own Harry Potter themed knitwear by hand! She makes mittens, fingerless gloves, and scarves for all of the Harry Potter houses, like these long Gryffindor fingerless gloves. Or perhaps these Ravenclaw mittens are more your style? If you’re interested in buying an interactive wand, head to Ollivanders Wand Shop. There are locations in both the main store in Daigon Alley and the “branch” in Hogsmeade. 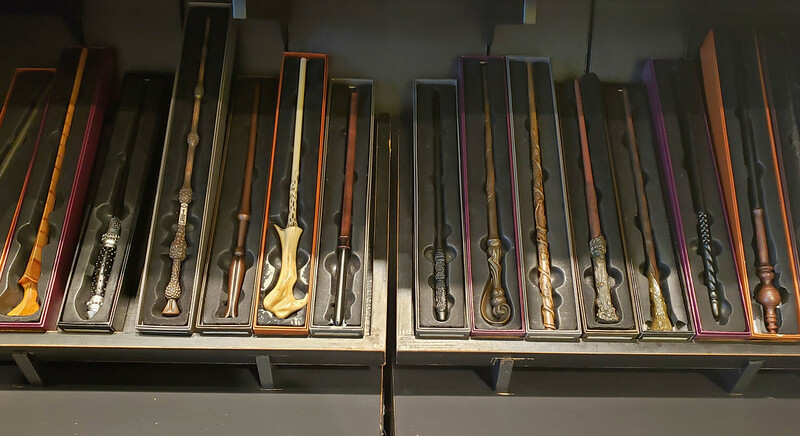 There are a number of interactive character wands, as well as “unclaimed” interactive wands. You can also purchase interactive character wands at the main gift shops at the front of each theme park, at Universal Citywalk, or even at the gift shops of the various on-site resorts. However, Ollivanders has the best selection. There’s also a “wand chooses the wizard” show at Ollivanders. Groups of 25 can enter the shop, and one person is chosen from the group. While the show is only about three minutes long, the show is really special for just one lucky guest – fingers crossed that it’s you or someone you know! Now, for the fun part, casting spells! There are tons of spell locations, marked by medallions in the pavement. By standing at the medallion and casting your spell, something magical will happen. Perhaps the pages of a book will flutter open, or water will flow from a fountain. 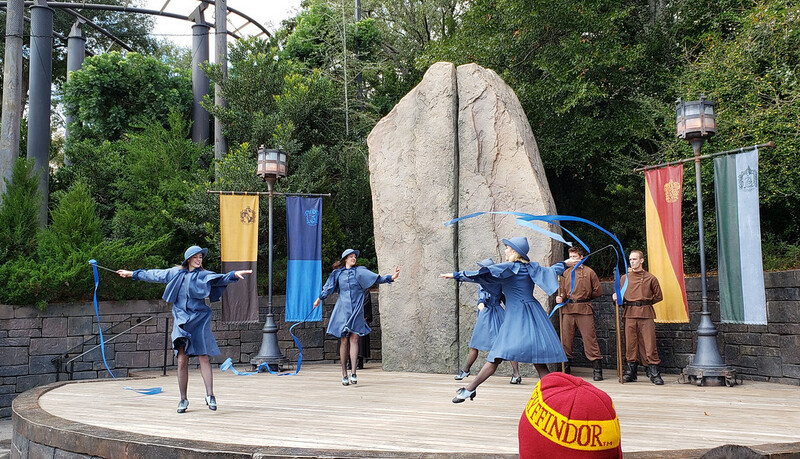 One of my Wizarding World of Harry Potter tips is to purchase a wind and cast the spells, or at least watch someone else do it. There are even hidden spell locations around the park to discover. Check out this interactive wand and spell casting guide for more details and information. Honeydukes is the place to be if you love candy and sweets. Choose from classic movie favorites like a Chocolate Frog, Fizzing Whizzbees, or Bertie Botts Every Flavor Beans. There are all sorts of treats for every taste, or choose to bring some home as a souvenir. Weasleys’ Wizard Wheezes is a joke shop that started as a school business by Fred and George Weasley. Just like in the books and movies, Weasleys’ Wizard Wheezes sells joke and trick items, as well as novelties. 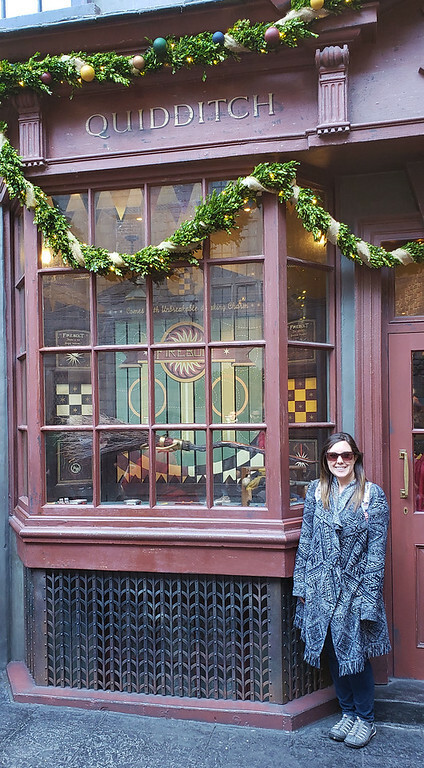 You won’t be able to miss this shop in Diagon Alley. 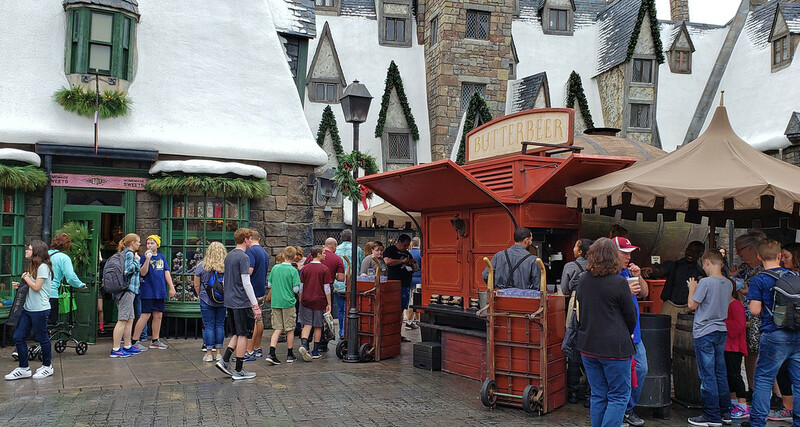 For Harry Potter fans, I know you’ll be dying to sample butterbeer for yourself! Unfortunately, butterbeer isn’t vegan so we were not able to try it for ourselves. We’d love if Universal came up with a vegan version of butterbeer! Sidenote: we tried an alcoholic vegan version of butterbeer at a restaurant in Buffalo, NY and we were hooked. Please, please, please make a vegan version of Butterbeer! Until that happens, there are several other beverages that you can try in the park: Pumpkin Juice, Tongue Tying Lemon Squash, Otter’s Fizzy Orange Juice, and Peachtree Fizzing Tea. If you’re seeking more vegan food and drink options, check out this vegan dining guide. We ate tons of delicious vegan food throughout Universal Orlando at the theme parks and CityWalk. Check out our vegan guide to Universal Orlando. Exchange your muggle money for the proper currency at the Wizarding World of Harry Potter: Gringotts bank notes! 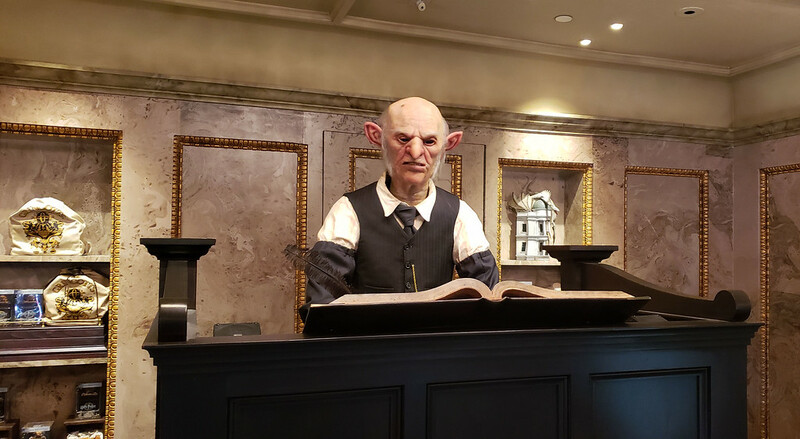 Head over to Gringotts Money Exchange in Diagon Alley to interact with a goblin and exchange your US notes for Gringotts bank notes. You can use the Gringotts money throughout the park and exchange any money you have left over at the end. It’s yet another fun and unique feature at the Wizarding World of Harry Potter. In Hogsmeade, you’ll stumble upon the Owl Post next to Ollivanders. You can purchase stationary and feathered quills there. However, the coolest part of the Owl Post is mailing a letter from the shop. You can choose a Harry Potter themed stamp, and each letter receives a special Hogsmeade postmark. For fans of traditional mail, or if you want to send home a postcard or letter to your family and friends, you’ll need to stop by the Owl Post. The best part of wandering into a brand new world is exploring at your own pace. Sometimes it’s best not to overly plan. You want to allow for some surprises. One of my Wizarding World of Harry Potter tips that I can’t stress enough: walk around at your own pace and seek out the small details. The little things are what make the Harry Potter theme park experience such a magical one. There are live performances happening throughout the day in both Hogsmeade and Daigon Alley. We managed to catch a portion of the Triwizard Spirit Rally at Hogsmeade. Here is the complete show schedule if you’d like to plan your visit in more detail. In Diagon Alley, you can feel the fire from the dragon atop Gringotts in Diagon Alley. However, it’s completely unpredictable as to when the dragon will breathe fire. Justin and I actually waited for about a half hour in anticipation of the fire breathing dragon releasing his fury. Unfortunately, it never happened for us! We never ended up witnessing the dragon breathing fire. After a half hour, we decided to move on. I’m sure we’ll return again in the future to see it with our own eyes! 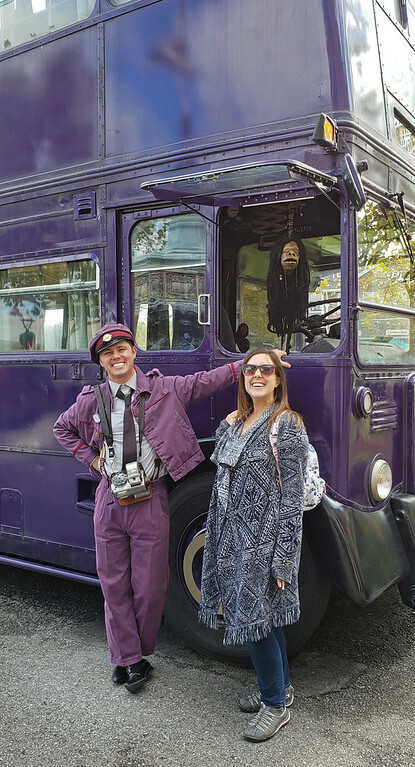 Outside of Diagon Alley in London, pop by the purple Knight Bus to have a chat with the driver, as well as the talkative shrunken head that hangs from the front. After introducing myself to the driver, the shrunken head chatted back, using my name! How did that even happen? It’s just one of the magical moments we experienced at the Wizarding World of Harry Potter. 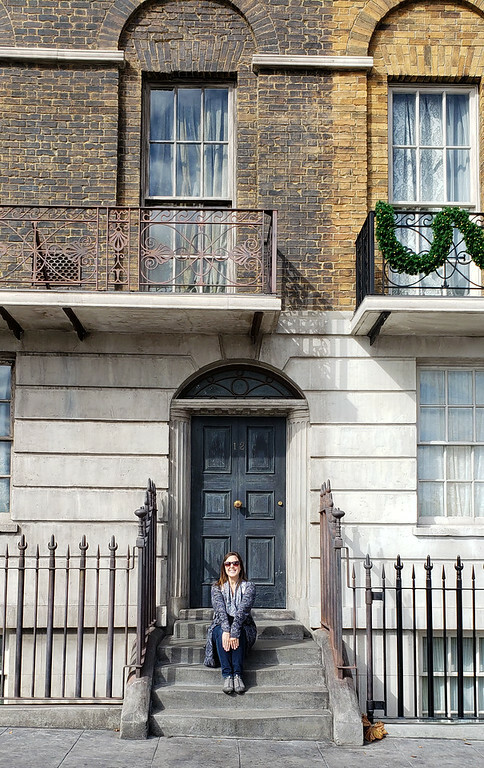 You can also visit Grimmauld Place in London. Something magical happens here, but I won’t ruin it for you! At the end of the day, I hope that you stayed until the night sky grew darker. There’s a brilliant spectacle of music and lights at Hogwarts Castle. The four houses are celebrated through a dazzling spectacle that lights up the castle. The Nighttime Lights at Hogwarts Castle is the perfect way to end your enchanting day. 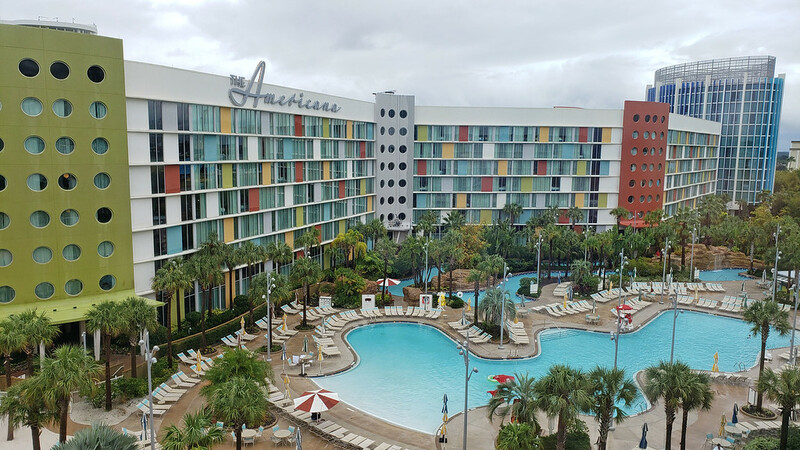 Justin and I spent five nights at Universal’s Cabana Bay Beach Resort and we absolutely loved it. The hotel was comfortable, fun, and had all the amenities we could ever want. There’s a distinct retro vibe with bright colors and decor. While the hotel is family friendly, we didn’t find it to be noisy or inconvenient for couples. We highly recommend staying here when you travel to Orlando. You can read reviews by fellow travelers by clicking here. There are two swimming pools, a lazy river, and a Starbucks directly inside the hotel. You can also dine at the hotel, visit the games room, and there’s even a neon bowling alley. You can stay connected with free Wi-Fi (there’s free Wi-Fi at all hotels and all over the theme parks, too!). Universal’s Cabana Bay Beach Resort was all decked out for Christmas as we stayed in mid-December, and the twinkling lights and sparkling presents beneath the trees added to the magic. 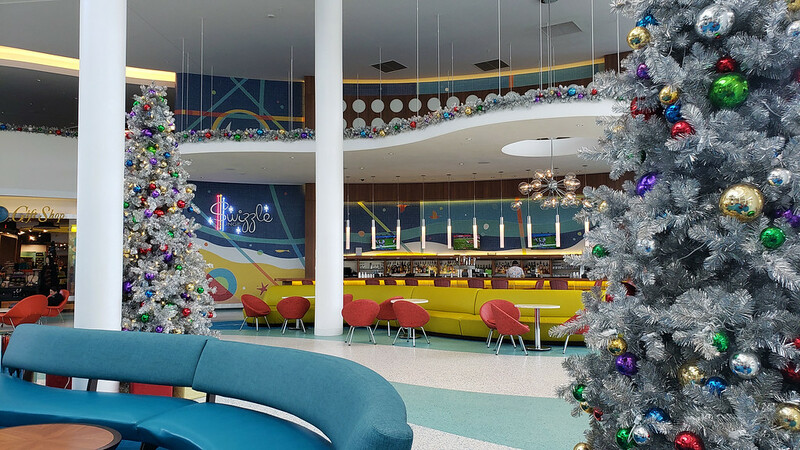 Read our full review of Universal’s Cabana Bay Beach Resort. 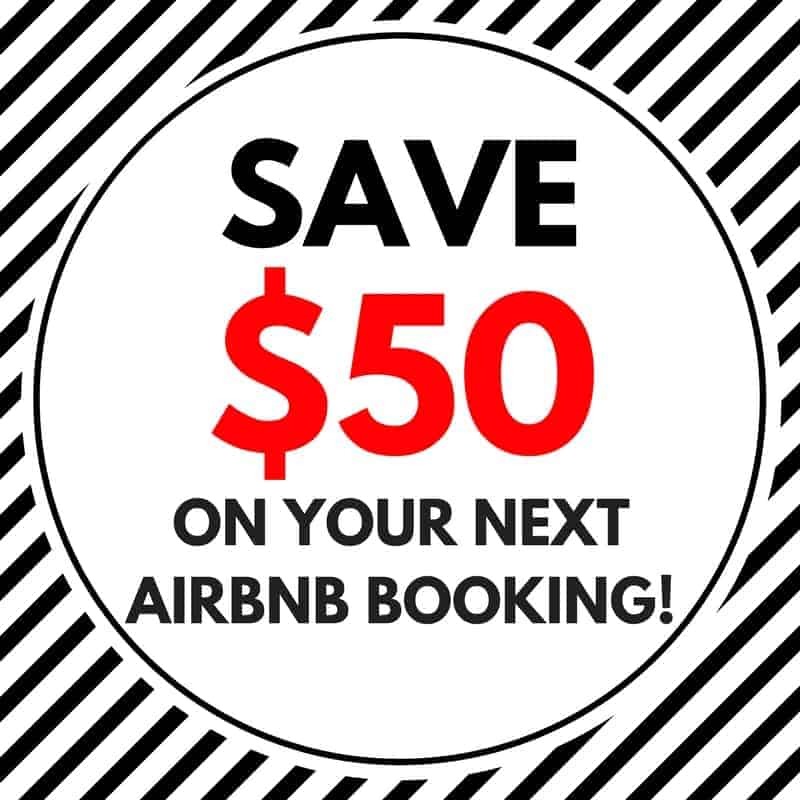 Are you planning your trip yet? 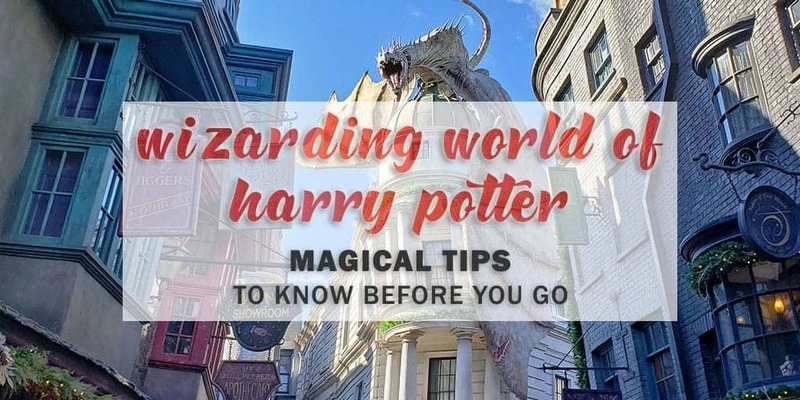 By using these Wizarding World of Harry Potter tips, you’ll enjoy a truly captivating holiday, even beyond what you imagined. Justin and I had such an amazing time at Universal Orlando Resort and we can’t wait until we can return again in the future. Interested in more articles? Check out more posts from Florida, USA! Want to see more photos from our trip? Check out our entire photo album from Universal Orlando! PIN one of the following pins to Pinterest for future reference. Hover your mouse over the top left corner of each image. Thank you so much to Universal Orlando for providing passes throughout our stay, as well as a discount on our hotel. 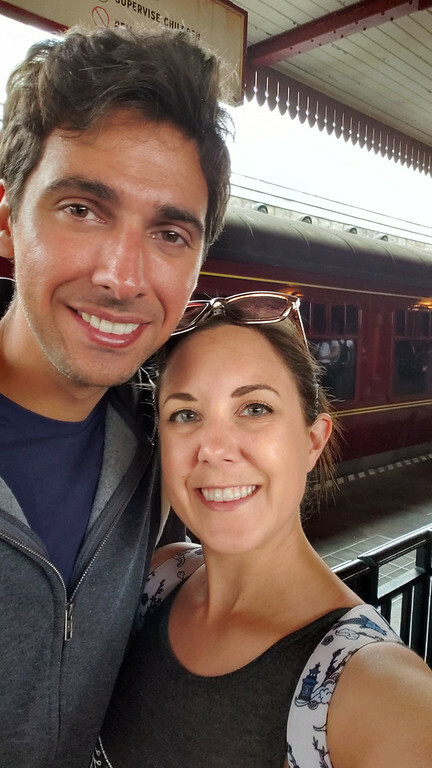 We always give our honest opinion about our trips, and we thoroughly adored our vacation to the Wizarding World of Harry Potter. We wouldn’t hesitate to return in the future. Have you ever visited Universal Orlando? 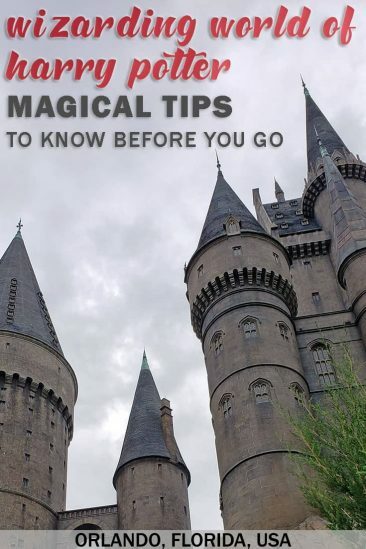 What are some of your Wizarding World of Harry Potter tips?